Worcester State University students and employees working out at the Wellness Center are producing more than just sweat as they use the fitness equipment, and they may not even know it. The new Wellness Center provides students and employees with a state-of-the-art facility in which to exercise and cheer on the Lancers. As an added bonus, when students and employees are exercising, they are actually generating electricity that is going back into the power grid to power both the machines and the lights of the Wellness Center. 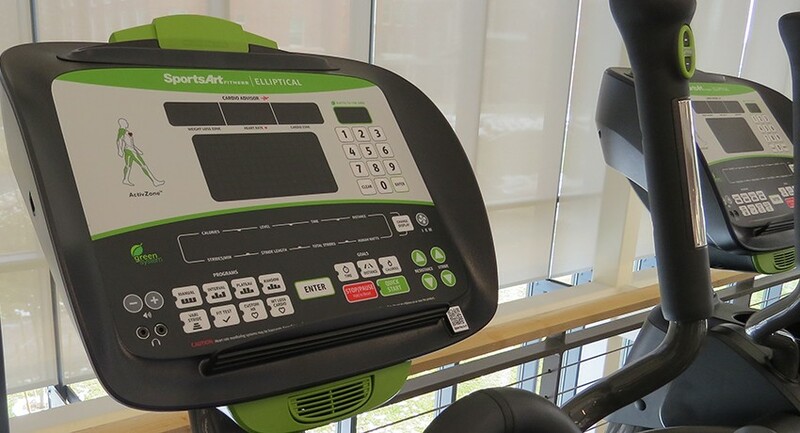 Within the DeFeudis Fitness Center, there are 10 ellipticals and four bikes by SportsArt that are designed to generate electricity using an internal micro-inverter, according to Dean Bowen, manager of the fitness center. In the first two months of operation, users working out on these pieces of equipment produced 35,079.5 kilowatt hours, which could provide the annual power for three homes, based on what the average utility customer uses. The electric treadmills do not contain a micro-inverter because of the amount of energy required to run the machine, although they remain efficient by going into sleep mode when not in use. Several manual treadmills at the Wellness Center require no electricity at all, and, Bowen noted, they give a better workout. Users can actually monitor how much energy they have produced by keeping an eye on their machine, although Bowen thinks few are aware of the feature. “I wish that I could hook up these machines to a light bulb to show students the direct results of their efforts,” he said. The equipment is just one example of how the Wellness Center was designed with energy efficiency and sustainability in mind. According to Associate Director of Facilities Robert Daniels, the building features a solar-thermal component that captures heat to create hot water for the shower rooms, laundry machines, and building heat. The roof of the building is also designed to collect rainwater to be used for irrigation, an important feature given the recent drought plaguing Worcester. The Wellness Center uses LED (light-emitting diode) lighting to substantially reduce its energy needs. LED bulbs work by bringing together currents with a positive and negative charge to create energy released in the form of light. While they are more expensive upfront, LEDs lead to big savings in terms of energy and money in the long run. The building also incorporates the use of daylight harvesting, which uses sensors to detect if adequate levels of light from windows, skylights, and doors can allow lights to be turned off. Daniels explained that while many of the energy efficiency features in the Wellness Center were installed in order to meet building standards set by Massachusetts, WSU has always strived to surpass those standards. 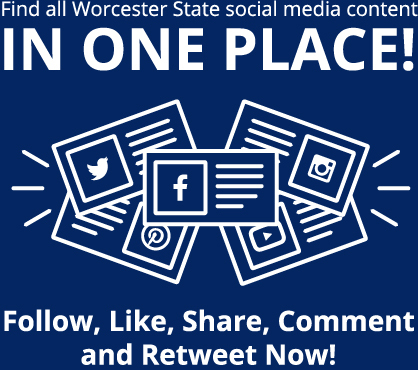 Researchers at Worcester State University and MIT set out to examine why fewer than 6 percent of Latino young men who enter ninth grade in the commonwealth’s urban areas complete a four-year course of study at the college level. Some of the major findings of a year-long research study, In Search of Opportunity: Latino Men’s Paths to Post-Secondary Education in Urban Massachusetts, . . .